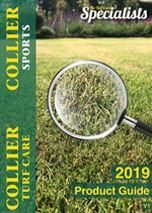 Holster XL is a specially developed selective weed killer, preventing a range of broad-leaved weed growth in amenity turf, with powerful ingredients & low application rates. Praxys is a unique selective weed killer that gives turf managers and lawn care operators control over difficult weed growth while using very low dose rates. A selective weed killer for the control of perennial broad leaf weeds including nettles, docks, thistles, brambles, broom and gorse.